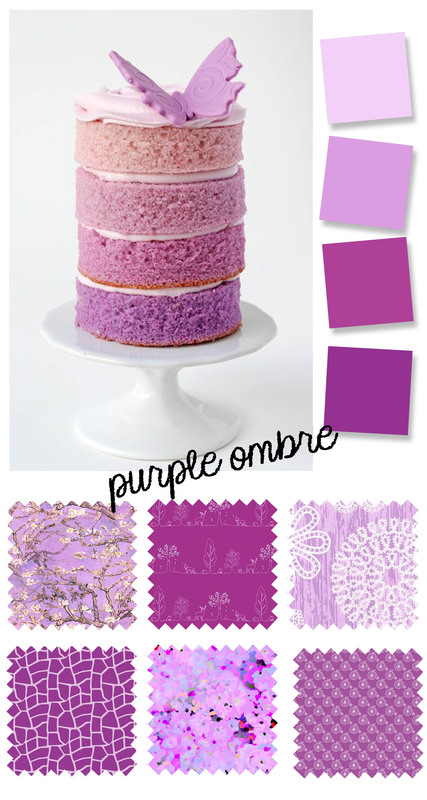 This week’s color palette was inspired by the Pantone Color of the Year 2014, Radiant Orchid. Here are many shades of purple to delight you. Image: Glorious Treats. Fabrics: 1, 2, 3, 4, 5, and 6. Does the Pantone Color of the Year ever influence your fabric color choices? Have you sewn anything this year with purple? And what do you guess will be the Pantone Color of the Year for next year? I love this! I have never thought about doing Pantone color of the year for inspiration! My husband is a printer so Pantone sends him mugs when he purchases new color books. We have lots of color of the year mugs haha! Not planned at all. Last year I inadvertently made a Pantone 2013 emerald green dress. Seems I am a follower without knowing it! Dear Rachel, I am really enjoying your colour palette compositions. Thank you very much. They are especially cheering in the middle of an Aussie winter. Fiona, that’s nice to hear that the color palettes are being enjoyed. I’m so glad Liesl started this series. Yes, I am too!! So pretty, and so practical. Better than having to pull out lots of fabric to see what goes with what. My punt for the next Pantone colour is either a yellow – maybe leaning towards lime/apple, or a blue – can’t imagine what kind. As the Pantone colours in the last few years have been jade, tangerine, and now orchid – they may cross to the other side of the colour wheel.